Back in 2010, Out of Eden acquired the soap manufacturing line from our previous supplier, then known as Buckingham Soap Ltd, as we were determined to maintain this British-made product for our customers. 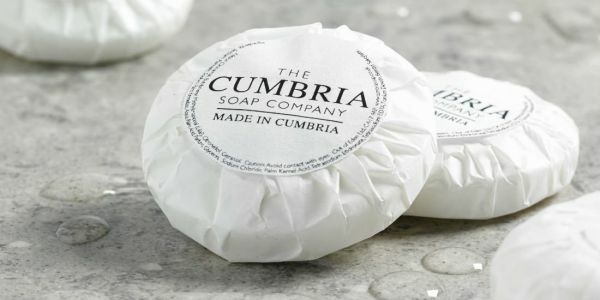 Following a re-launch as The Cumbria Soap Company, and a relocation to our Cumbria-based site, we have continued to produce all of our own soap right here on the premises ever since. 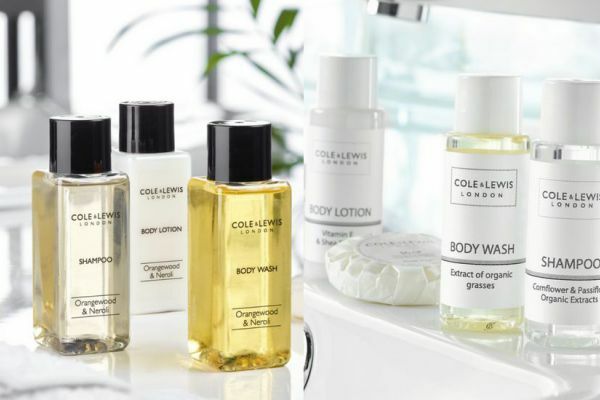 Our ability to produce all of the soap on-site gives us the unrivalled advantage of offering bespoke services, with the ability to personalise and brand your very own soap collection, using only the very finest and sustainable resources. Our specialist production line is capable of manufacturing 60,000 tablets of soap per day, with a wide range of stylish wrappings (or if you prefer, unwrapped) available too. 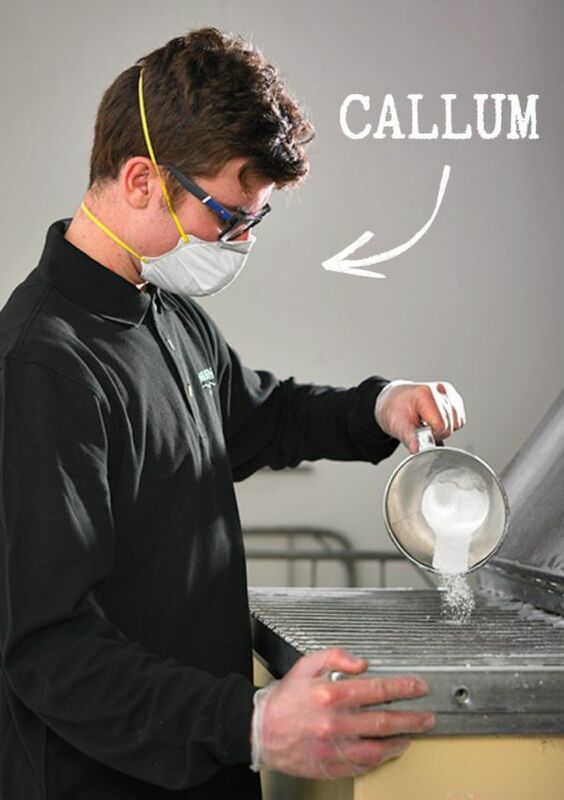 We've been perfecting our soap-making craft for around 8 years now, and it's become something we're very proud of, so in this blog we're taking you behind the scenes with a little Q&A featuring our resident soap savvy Operations Assistant, Callum. I first started at Out of Eden when I was a student back in 2008, doing warehouse replenishment and kitchen duties after school alongside studying for my Engineering qualification. It was around then, in 2009, that Out of Eden purchased the soap manufacturing line and re-launched it on-site in 2010. After working a couple of days in the factory, as we often did in the beginning to help out, it was decided that my experience in Engineering could be quite useful when it came to the day-to-day running of the soap machine. So, I got an apprenticeship through Out of Eden to work in our soap factory where I learned all about the soap factory, how it worked and how it operated, and my responsibilities in the soap department have developed from there. Which of the toiletry collections do we produce soap for? All of the soaps for our toiletry welcome packs, including Kinu, the Cole & Lewis Classic, White, Silver and Orangewood & Neroli Collections, Spa Works, Luxury Soap, Eden, and our flow wrapped 15g bars are produced here in the UK using a natural, vegetable base and a variety of different fragrances. We also offer bespoke soaps too. What elements of the soap can we make bespoke for our customers? As all of our soaps are made on-site, to an extent we can customise the soap in any way that suits our customers’ needs. For our popular 20g and 40g pleat-wrapped bars, we can add a personalised label, such as a business logo, with any scent or perfume. *For customers interested in a fully bespoke soap service, we require a 5000-soap minimum order. What do you think makes us stand out as a soap manufacturer? Definitely the fact that our soaps are made in the UK, which was our main motivation for purchasing the manufacturing line, as it’s something very important to our customers. 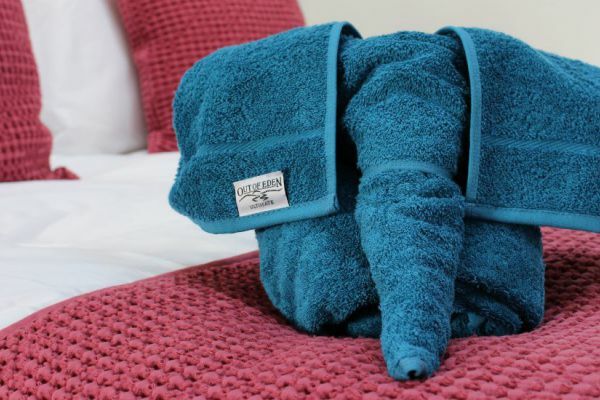 The fact that they’re also made not just in the UK, but in Cumbria, is also a very big selling point for us as a significant amount of our customers are local to this area and enjoy knowing they’re supporting a local business. Also, the fact that our soap products are all-natural and the packaging for our flow-wrapped soap is even recyclable. We receive a monthly waste collection from Total Recycling, where our waste is split into recyclable and landfill. 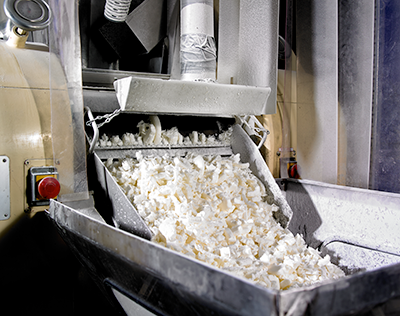 None of our waste, including soap packaging, has been sent to landfill for a very long time. 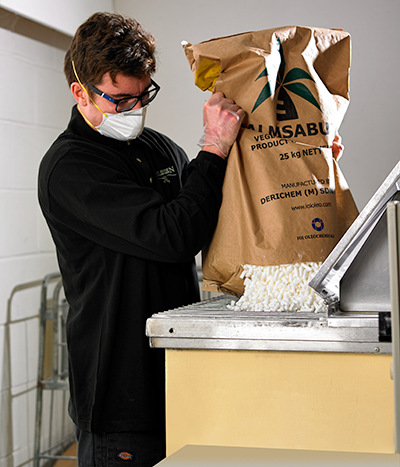 Click here to find out more about our sustainable waste management. Where are our soap noodles sourced from? Our soap noodles are sustainably sourced from Malaysia with full Roundtable on Sustainable Palm Oil (RSPO) certification. RSPO is a global committee established in 2004 and headed by WWF, to promote the production and use of sustainable palm oil to help the planet, people and overall prosperity. This accreditation ensures the palm oil included in the soap noodles has been sustainably sourced while maintaining fair working conditions for the farmers, protecting wildlife and primary (untouched) forest, reducing greenhouse gasses and minimising pollution. Currently, only 20% of the world's palm oil is sustainably sourced. As our soaps are manufactured using vegetable-based noodles, our soaps are a great, natural alternative to mainstream soaps that contain heavily scrutinised ingredients such as SLES/SLS, parabens or phosphates. If you want to know more about our soaps and the bespoke services we offer, please don't hesitate to get in touch. 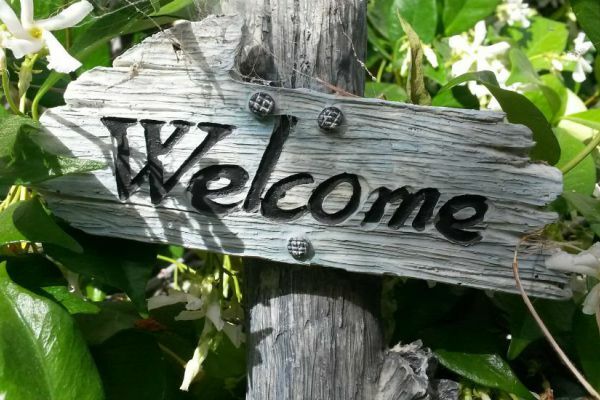 We recommend calling the Out of Eden Customer Services team on 01768 372 939, or, alternatively, you can pop us an email at sales@outofeden.co.uk. 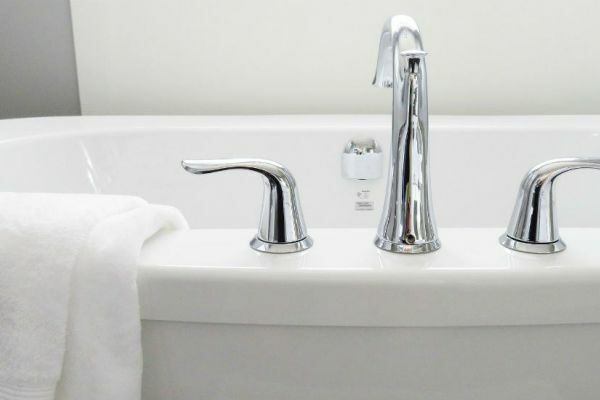 When you want your guest bathrooms to deliver the wow factor there’s really just one simple rule to remember – it’s all about the sparkle.